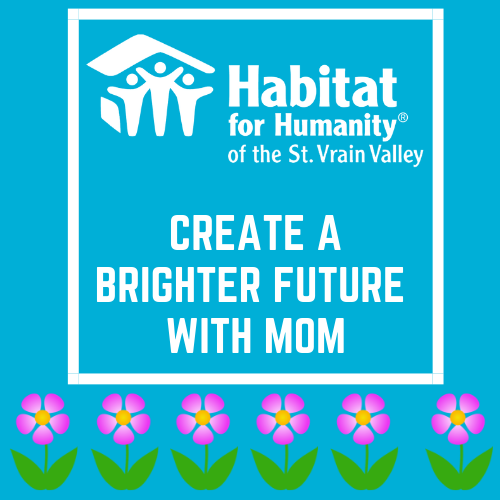 Three unique opportunities to celebrate Mother’s Day 2019 with Habitat! Moms, bring your kids and Kids, bring your moms and grandmoms to the Longmont ReStore for an afternoon of fun projects at the St. Vrain Habitat ReStore. Minimum age is 14 years old. Snacks and swag will be provided. Join us between 1-5pm. Moms, bring your kids and Kids, bring your moms and grandmoms to our Poplar Grove Development for a day of fun landscaping. Minimum age is 12. Lunch TBD. Join us between 9am-4pm. Celebrate strong families and brighter futures! Donate in honor of or in memory of your mother or grandmother, or moms, donate in honor of your kids. Donations accepted today through May 31st. We will send a thank you note of acknowledgment to your honoree. Give the gift of decent, affordable housing! 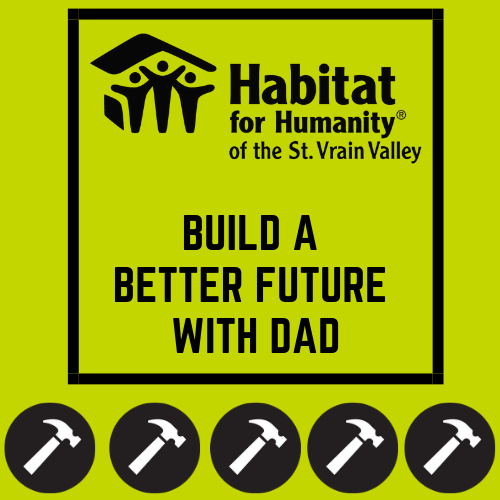 Three unique opportunities to celebrate Father’s Day 2019 with Habitat! Dads, bring your kids and Kids, bring your dads and granddads to the Longmont ReStore for an afternoon of fun projects at the St. Vrain Habitat ReStore. Minimum age is 14 years old. Snacks and swag will be provided. Join us between 1-5pm. Donate in honor of or in memory of your father or grandfather, or dads, donate in honor of your kids. Donations accepted today through June 30th. We will send a thank you note of acknowledgment to your honoree. Give the gift of decent, affordable housing!